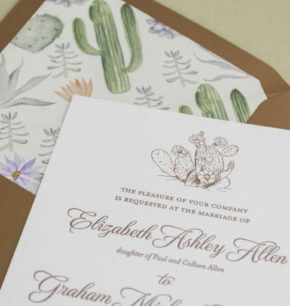 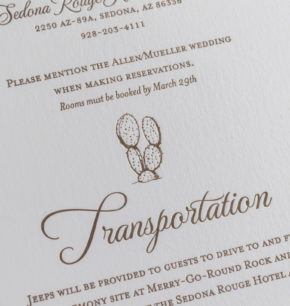 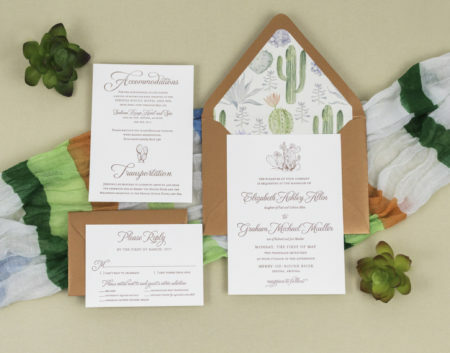 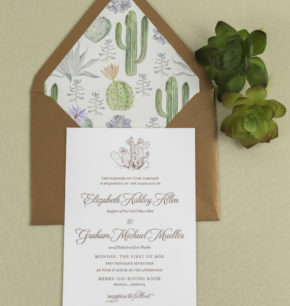 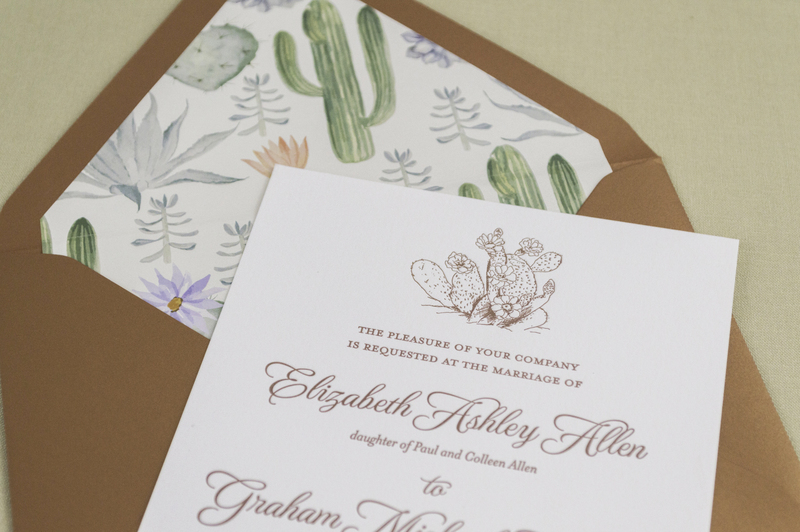 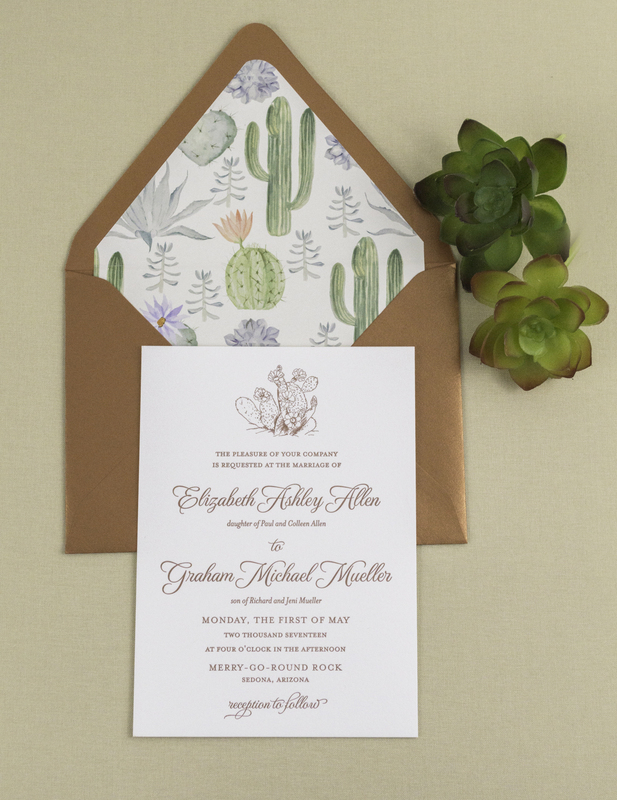 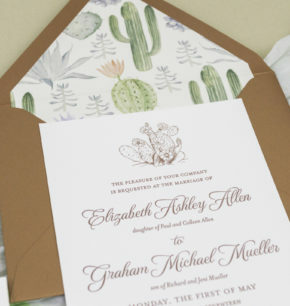 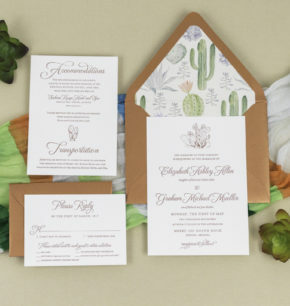 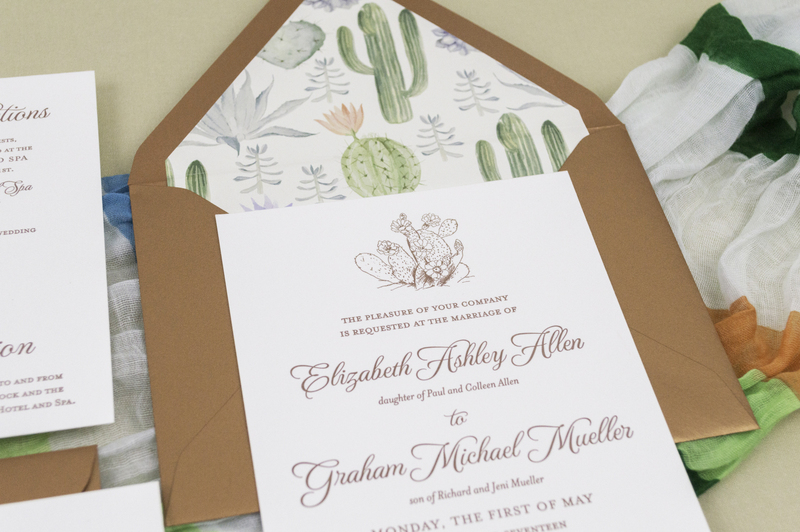 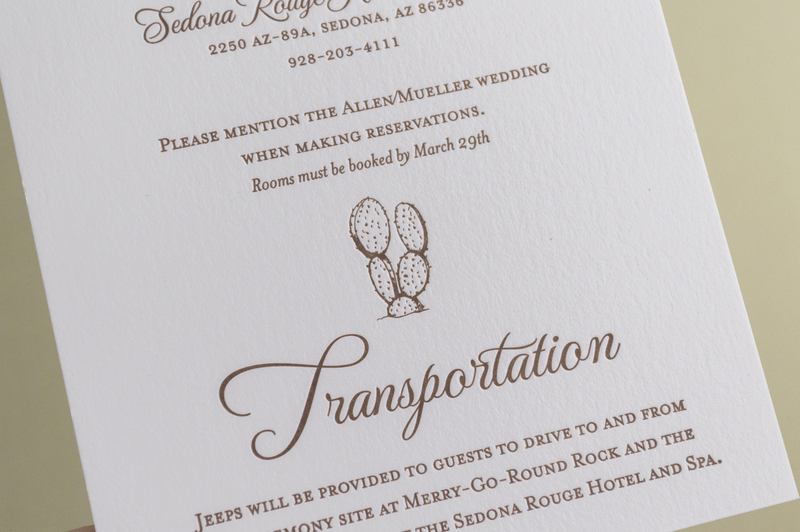 This couple said their vows in Sedona, Arizona and wanted their invitations to reflect the beautiful setting. 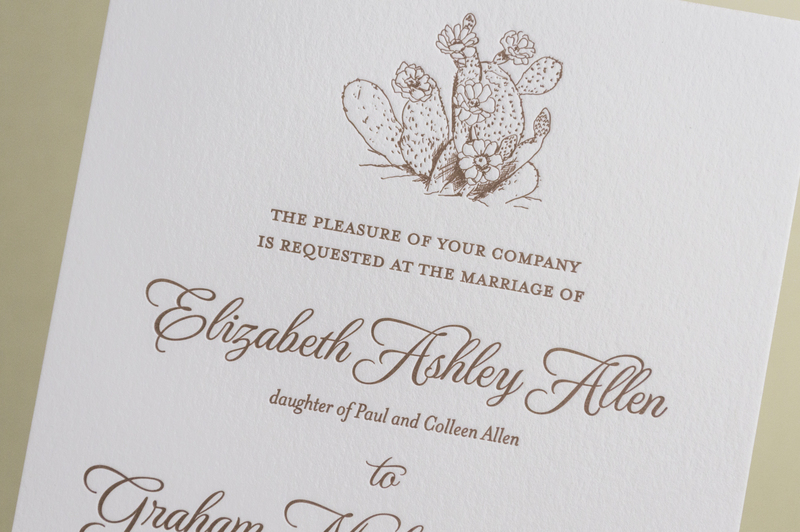 To bring their vision to life, we created a couple of hand-drawings showcasing succulents and cacti native to the area. 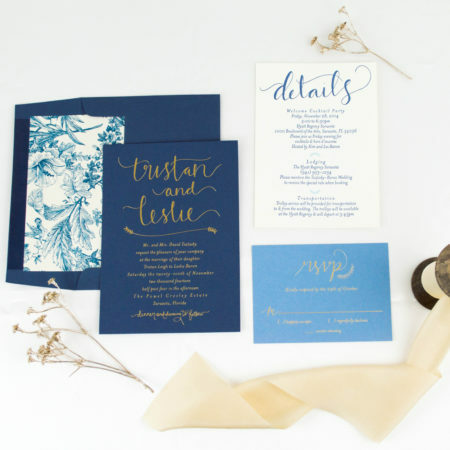 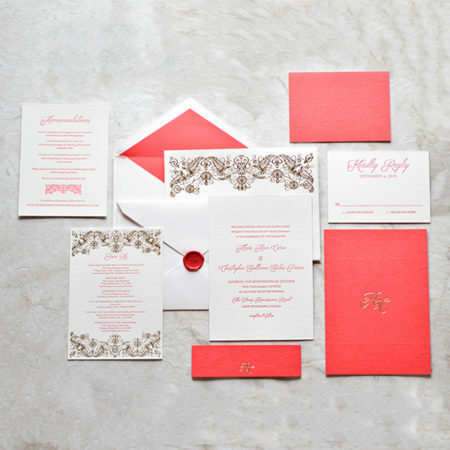 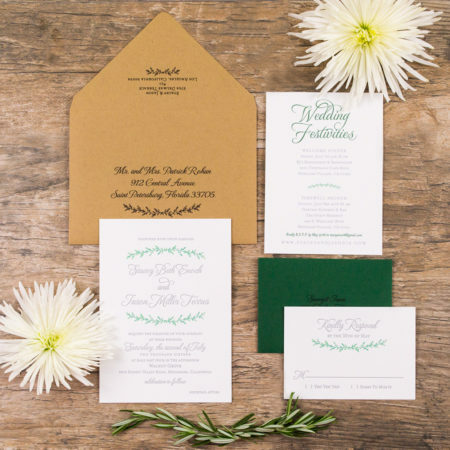 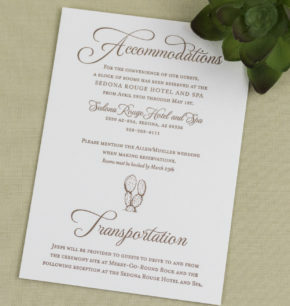 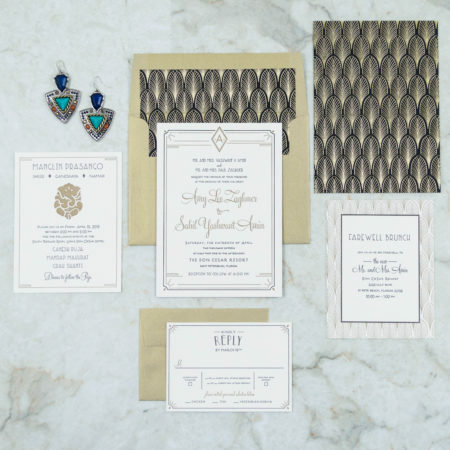 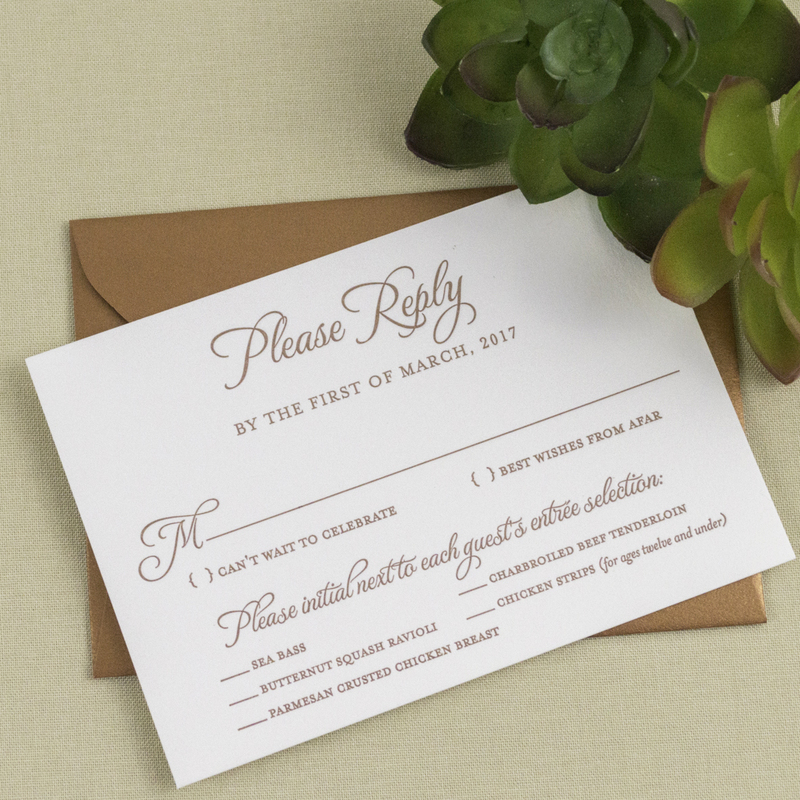 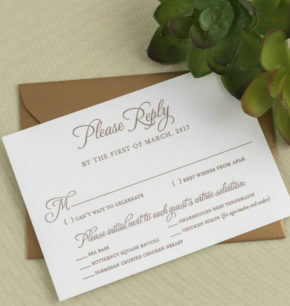 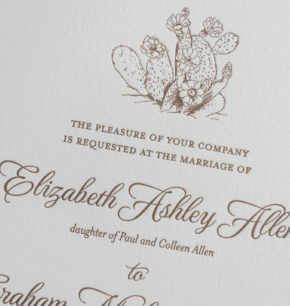 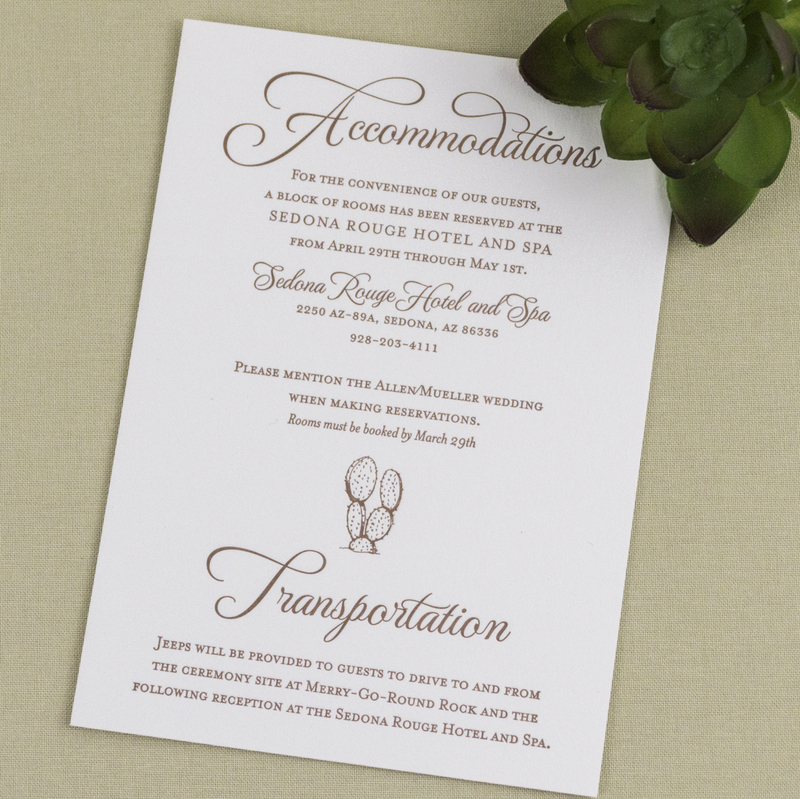 To add an elegant touch, we letterpress printed the entire invitation suite in a beautiful copper ink. As a final detail, we paired each invitation suite with pearlescent copper envelopes and added a fun watercolor envelope liner.